This past weekend I joined in with Powerade for the latest Powerade Performance Academy. Local school sports coaches from around Gauteng gained priceless insights into coaching techniques from some of the world’s foremost training experts at the Powerade Performance Academy. The Powerade Performance Academies aim to provide local school coaches with valuable knowledge in the latest, cutting edge coaching methods practised around the world. Powerade is committed to providing young South African sportsmen with the necessary platforms to achieve their ultimate sporting goals. In line with this commitment, Powerade decided to focus attention on school coaches as a recognition of their role as primary influencers of South Africa’s next sporting heroes. 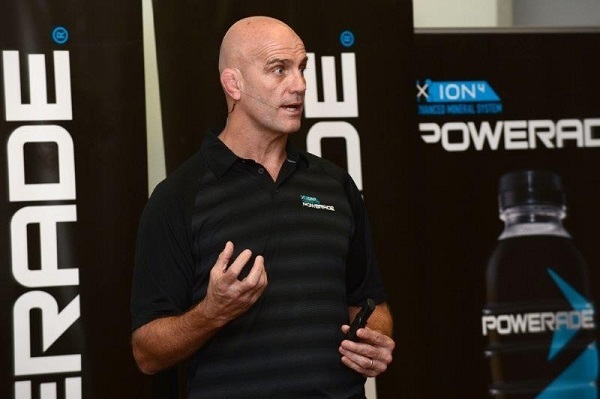 Powerade hosted over 90 school coaches from around the Gauteng area for an exclusive performance seminar where they were schooled in the science of correct training and the benefits of hydration by six world renowned experts. The Performance Academy covered the fields of leadership, team culture, eating for performance, physical conditioning and injury management, sports vision and the power of performance from the likes of former All Blacks coach John Mitchell, world renowned sports scientist Dr Sherylle Calder and the former Cell C Sharks Mental Coach and current High Performance Consultant to Cricket South Africa, Tim Goodenough. Most of the coaches, whose primary background is education, have no formal coaching qualifications. At the Powerade Performance Academy they were exposed to international best practices, the latest training information and given insights gathered and utilised by some of the best international coaches and experts from around the world.